“October 1 marks the official joining of RA-Cert with NEPCon to unify their credible sustainability certification services at a global scale, engage widely with a diverse range of stakeholders, and productively contribute to the development of schemes for environmental and socially responsible practices. NEPCon is pleased to announce the successful acquisition of RA-Cert, certification division of the Rainforest Alliance, effective from 1st of October 2018, the following the signing of the formal agreement on 10 July 2018. NEPCon, a mission-based organisation headquartered in Copenhagen, has strengthened its capacity to deliver sustainability certification and auditing services, and implement related conservation projects on a global scale. With more than 220 staff members working from 25 different offices and an extensive network of professional consultants located on six continents, NEPCon now offers services in nearly 100 countries. The acquisition bolsters NEPCon’s reach and scale, enabling the newly expanded organisation to better drive impact on the ground and achieve its mission. The organisation will be better-equipped to provide services to large, international corporations with global supply chains in agriculture and forest products, as well as secure its engagement with small and medium-sized companies, small landholders and community enterprises that are essential for sustainable development at the local level. The combined organisation operates under the name of NEPCon, and continues to offer certification, verification and assurance services that both NEPCon and RA-Cert have been delivering in forestry, agriculture, responsible sourcing, biomass, carbon footprinting, and tourism. 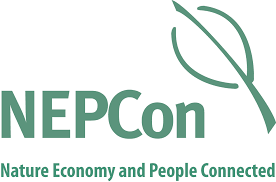 As a result of its newly expanded global reach, NEPCon will also be in a position to engage additional stakeholders through its projects that aim to build capacity, raise awareness, and conserve nature through innovation. Since the signing of the agreement in July, Rainforest Alliance and NEPCon have been working together to transition RA-Cert clients to NEPCon, making NEPCon responsible for the delivery of their ongoing certification and verification services.